What: Shares of Latin American McDonald's franchisee Arcos Dorados Holdings (NYSE:ARCO) were ripping higher last month thanks to a better-than-expected earnings report. According to S&P Global Market Intelligence, the stock finished the month up 43%. So what: The troubled restaurant chain began looking a little less troubled last month after reporting fourth-quarter earnings. Arcos posted a per-share profit of $0.03 in the quarter, in line with estimates, while revenue fell 16% to $765 million, ahead of the consensus at $759 million. The decline was due to currency depreciation in many of its markets, especially Brazil. CEO Sergio Alonso touted recent arrangements to shore up the company's balance sheet, such as selling off hundreds of restaurants and cutting SG&A expenses. Margins also improved in all segments in the quarter. Arcos Dorados debuted on the market to much fanfare in 2011, but shares have plummeted since then as key markets like Brazil and Venezuela have imploded thanks to political unrest and the commodity bust. Even with last month's gains, shares are still down more than 80% since the company first began trading. Now what: Arcos Dorados shares seem to have fallen so much that there is nowhere for them to go but up. Management has reduced the company's net financial debt by nearly 20% over the past year, and key ratios have improved as its EBITDA has increased, all signs that the company is on the path to recovery. 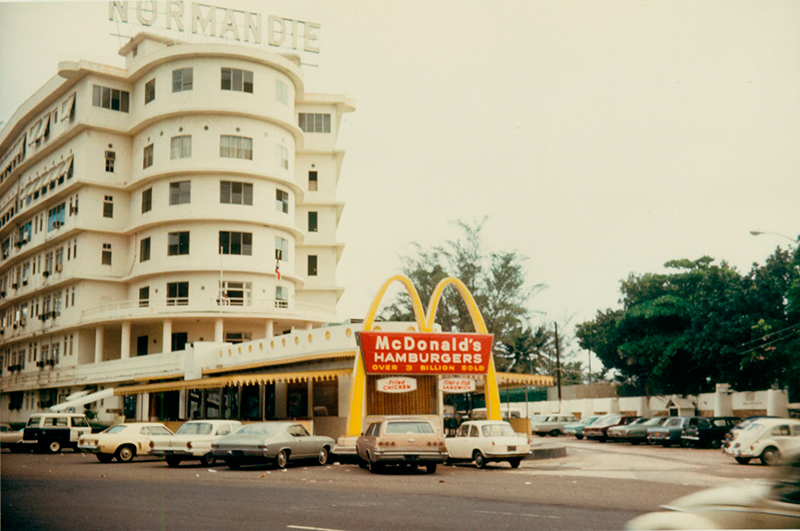 Despite posting a net loss for the past two years, Arcos Dorados is still sitting on a valuable asset: over 2,000 McDonald's restaurants, at a time when McDonald's seems to be in resurgence around the world. Assuming the recession in Brazil eventually breaks, over the long term the stock should recover at least some of its losses over the last five years.